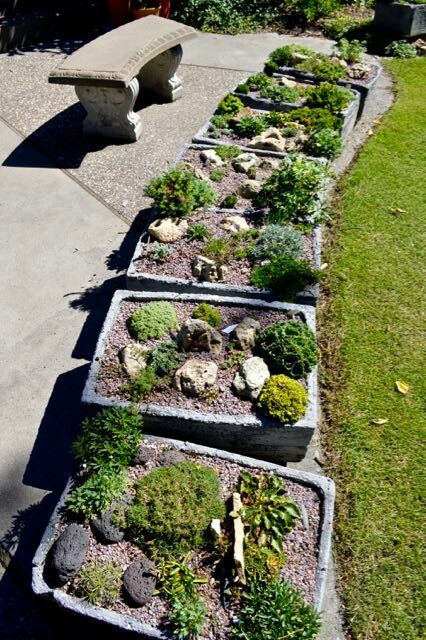 Alpine troughs made from recycled fish coolers. Yes, that’s right. Fish troughs. Even while photographing them, I had no idea they weren’t concrete, stone or hypertufa, but styrofoam. This row of troughs was one of the first things to greet you – hinting that this was not the home of run-of-the-mill gardeners. 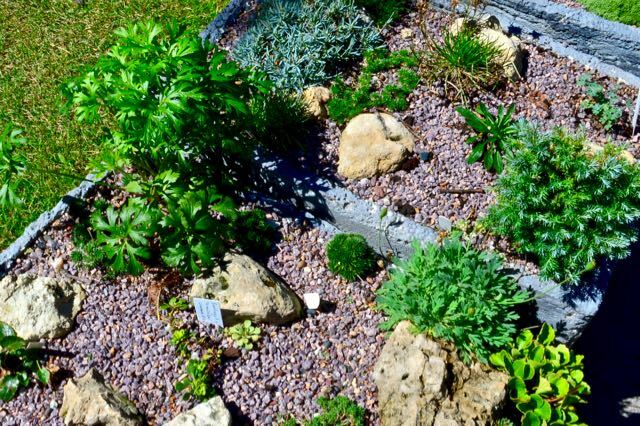 But only after taking half a dozen shots, including closeups, and moving on to the rest of the garden did I hear (not notice) that the troughs weren’t stone, but painted styrofoam. I had to go back and relook at my photos. Sure enough, I’d been inches from the evidence without seeing it. Blame the bright sunlight. Can you make out the underlying styrofoam in the break at the corner? 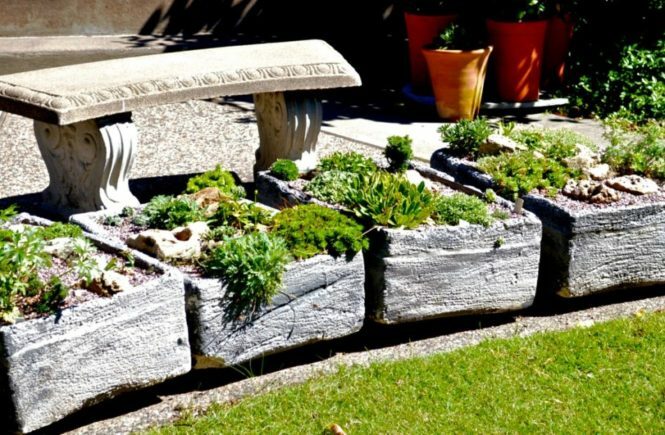 These are much easier to make than the typical molded troughs using cement or hypertufa (a light-weight mixture using cement to bind light materials such as peat, perlite and/or vermiculite). It isn’t quite as simple as distressing the exterior and slapping on some paint – though it comes pretty close. Google led me to these easy-to-follow instructions for making fish troughs from the Minnesota branch of the North American Rock Garden Society (NARGS). Not coincidentally, that link includes another view of the troughs at the top of the post. 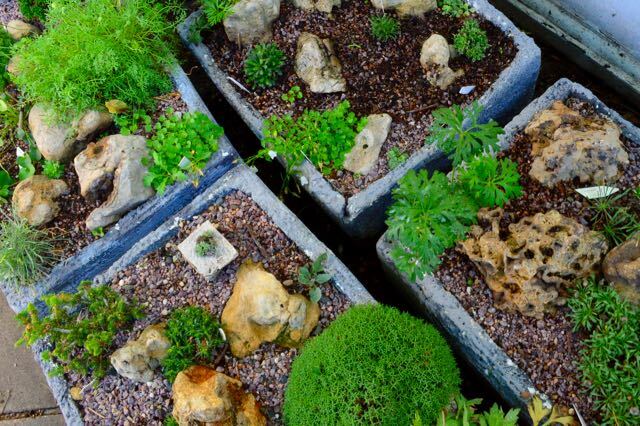 An alternative method, using grout on top of styrofoam, is described on the NARGS national page (as well as “how to hypertufa” – something I’ve wanted to do since I fell in love with Barry Parker’s magical way with troughs). Various instructions suggest these should last for years. I heard that the Shannons leave theirs outdoors, even in Minnesota winters, though never left in winter sun. They should last reasonably well in Toronto, which is at least a zone warmer than their USDA Z4. You might buy styrofoam boxes and start from scratch. Or, why not see if a local grocery, market or restaurant has some for recycling? *I’ll talk about some of the other reasons in another post. 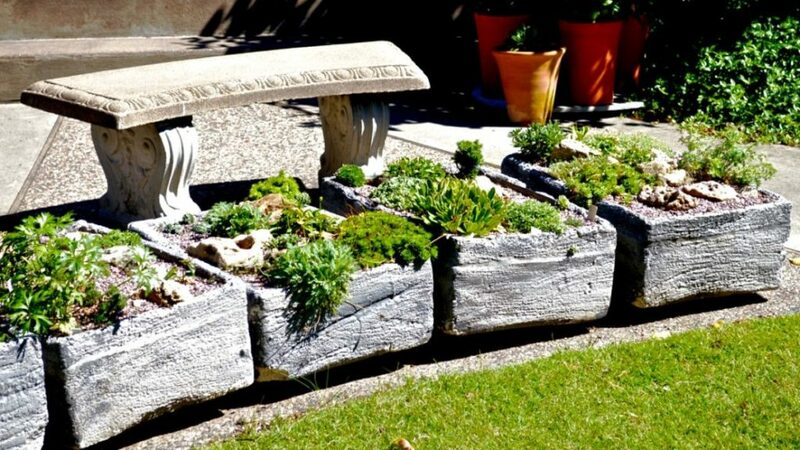 You have highlighted one of my favourite take aways from the fling…these diy planters. 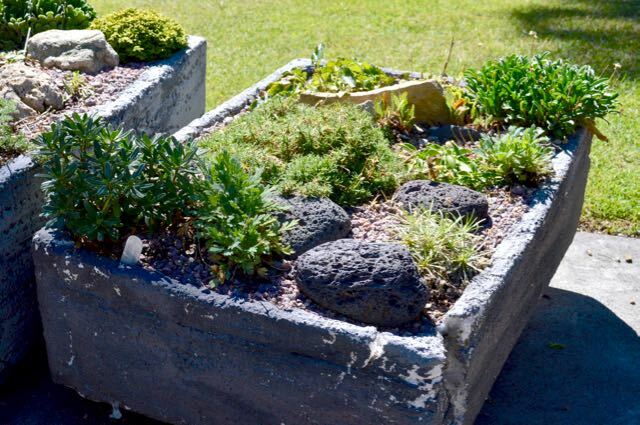 As soon as I saw them that feeling that I MUST incorporate them into my garden was instant…and that was before I knew they were simply Styrofoam boxes, which of course upped the want factor exponentially. They sound easy to make. The hardest part is probably hunting down the boxes to recycle. Some notes in the instructions warn against using styrofoam boxes with weak construction, which might make the Canadian Tire beer coolers unsuitable. 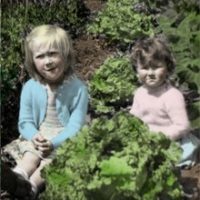 If you make them, Margaret, please report back on your project! These were fantastic and I so appreciate that you researched just how to make them into reality!